Place the olives, garlic and capers in a blender or Vita-Mix. Plus once. Add the brie and pulse until a coarse mixture forms. 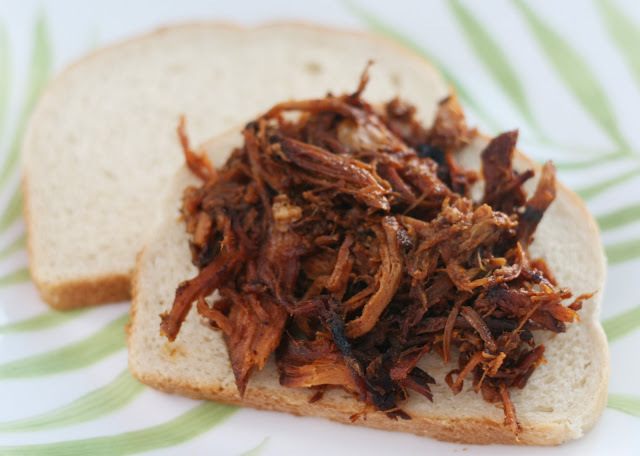 Serve as a spread on sandwiches, bread or crackers. Traditionally tapenade is made with black olives and well, without cheese but who says it has to stay that way? I had a little wheel of Ile de France brie which while perfectly creamy and tasty, like all brie doesn't exactly have a robust flavor. When paired with the olives however, the brie takes on new life. 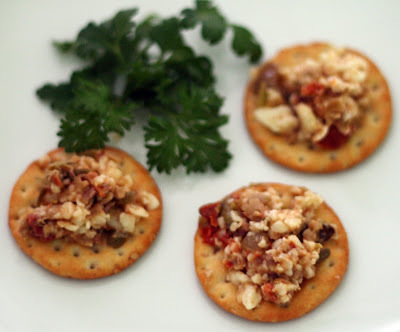 It not only starts to absorb the flavors of the olives and capers, it provides the perfect creamy counterpoint to the sun-dried tomato/olive textures. In a small bowl, whisk together the dressing ingredients. In a large bowl, toss together cabbage, onion and carrot. Pour the dressing over the vegetables, toss to evenly distribute. When I was young, my family would go and get a take out order of coleslaw and fried oysters from Hasslinger's all the way across town. They've long since gone catering only so I am forced to make my own fried oysters. While I am normally not a huge fan of creamy salads, I make an exception for the occasional oyster and coleslaw pairing. To keep the coleslaw creamy but not too mayonnaise-y, I added some sour cream which also added a slight tang. 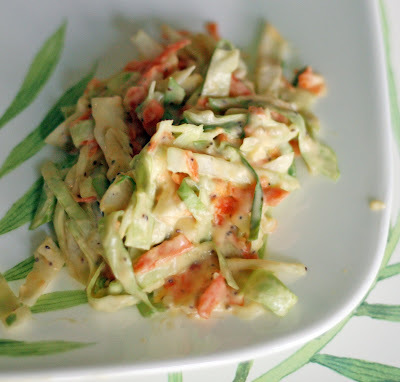 I blame Hasslinger's for my lifelong love of celery seed, their coleslaw was studied with the seeds so there are lots of celery seeds in my slaw as well. Their flavor is just so distinctive and really pulls the other flavors together. Note: Make the pudding first because although it takes less than 5 minutes to make, it needs time to chill. If you can, make it the day before you plan to bake. Place all of the pudding ingredients in a heavy saucepan. Cook over medium heat, stirring continuously until mixture comes to a boil and begins to thicken, about 3 minutes. If it seems lumpy, strain before pouring it into a bowl. Refrigerate covered, until throughly chilled. Preheat oven to 350. Line or grease 12 wells in a cupcake pan. 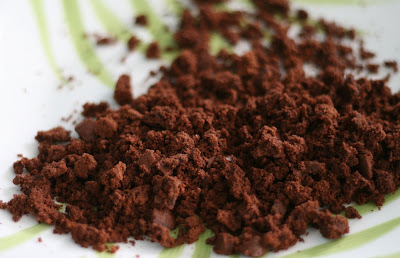 Mix cocoa with boiling water in small bowl, stirring until smooth. Set aside to cool. Cream together butter, vanilla paste and sugar until fluffy. Add eggs, one at a time, beating well after each one. Add the hydrated cocoa, mixing thoroughly. In another bowl, whisk together remaining dry ingredients. In a measuring cup or small bowl, combine the milk and sour cream. Add the flour mixture and the milk/sour cream mixture alternating between the two, thoroughly mixing between each addition. Fill the wells about 2/3 of the way. If you really scrape the bowl, you might be able to eke out one or two extra cupcakes. Bake 20 to 25 minutes or until a toothpick inserted in the center cupcake comes out clean. Cool completely. Beat together all of the ingredients of the frosting until smooth. Make sure the cupcakes are completely cool. Set aside one cupcake. Give the pudding a good stir so it isn't so solid it won't easily pipe. Fill using filling/decorating tools or by removing a small amount of cupcake from the center (using a small corer works well) and carefully spooning in some pudding. I used the tools that came with this and decorating equipment from cupcake kit. 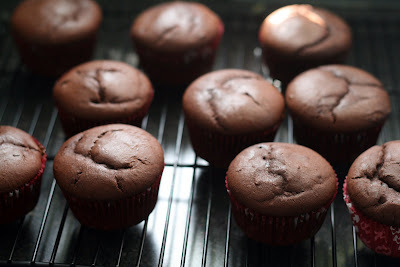 If you've never filled a cupcake before, you might want to check out this guide to filling cupcakes that I wrote for Bakespace. Ice with a fairly modest amount of frosting on each cupcake. Smooth the icing so there is a bit of a flat top. 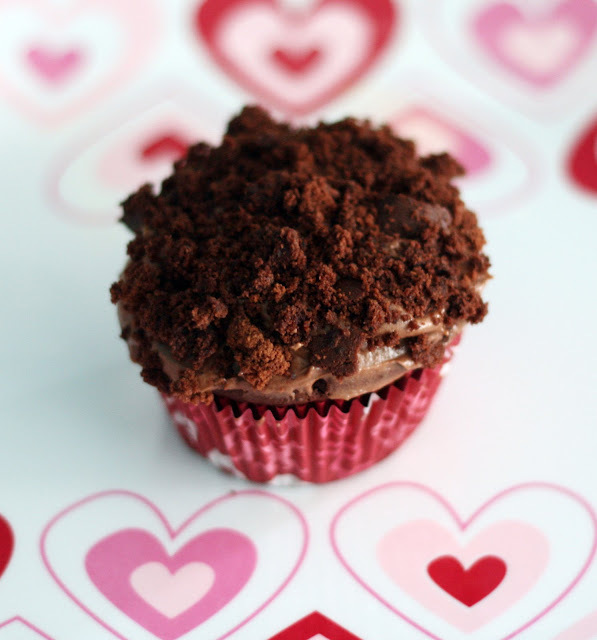 Crumple the leftover cupcake to make crumbs. Sprinkle the the crumbs over the iced cupcakes. Voilà! Note: You will probably end up with at least some pudding leftover. I really couldn't scale the recipe down any further than I did. Today is our fourth anniversary. We debated about staying home and making something special but the lure of neither of us having to cook was strong so we struck a compromise, we'd go out to dinner but I'd make dessert. I decided to go ahead with a cupcake idea I've had for years. Brooklyn Blackout Cake is a NYC classic originally hailing from long defunct Ebinger's Bakery. It consists of 3 layers of dark chocolate cake with dark chocolate pudding between the layers, topped with chocolate icing and sprinkled with chocolate cake crumbs. This cupcake version is inspired by both the original cake and the Brooklyn Blackout Cupcakes we used to get at Two Little Red Hens in Park Slope, Brooklyn. The owners of the bakery have since parted ways and the location we once dined at is now called the Ladybird Bakery. I haven't been there since the schism so I can't say for sure that the Brooklyn Blackout is the same or still on the menu. Anyway, since we live in Baltimore and can't pop out for a Brooklyn Blackout cake or cupcake as they are virtually unknown locally, I set out to reproduce it in my own kitchen. Taking inspiration from the bakery examples I've had, I created recipes for a dark chocolate pudding-like filling, a moist sour cream/devil's food cake and a glossy chocolate frosting. Of course I have no idea what the original Ebinger's or Two Little Red Hens' recipes are but I think I did a pretty good job. Unlike bakery (cup)cakes these aren't over the top in size but they make up for it in flavor. You need to be a true chocolate lover to truly enjoy the Brooklyn Blackout. 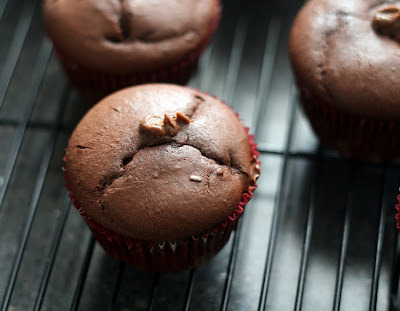 All of the individual parts of the cupcake are a rich, moist, dark chocolate. Perfect for a special occasion but easy enough for everyday. In a small bowl, stir together the dry rub. Rub on both sides of the steak and allow to to sit about 20 minutes. Grill on preheated indoor grill (it took only 7 minutes at 450 using my countertop grill) or Alternately, grill outside or cook on the stove top in a skillet until desired doneness. Remove to a platter, tent with foil and allow to sit for 5 minutes before thinly slicing it against the grain and on a sharp angle. 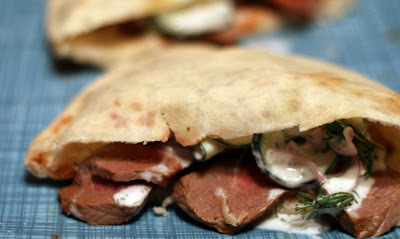 Serve in a pita with cucumber salad. 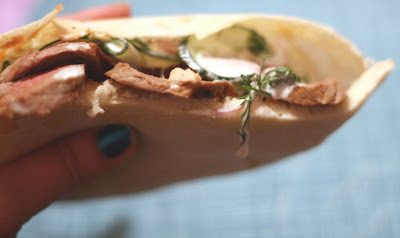 I know you hardly need a recipe to know how to make a sandwich, but this one was so good I had to share. I am actually not much of a sandwich person myself but lately I have been craving and creating interesting sandwich combinations. This is one of my new favorites. The seasonings on the meat echo the flavorings of the cucumber salad and they combine to create a really flavorful, juicy sandwich. Top round steak is a great, economical choice if you are craving something beefy. It is full flavored and quite tender when cooked medium-rare and sliced diagonally against the grain. Another bonus is that I frequently can find top round steak on sale for about $2 a lb. Alternately a flat iron or skirt steak would work well instead. And imagine how impressed people will be when you reveal that the sandwich is entirely homemade, right down to the pita! In a large saucepan, heat the chickpeas (in their liquid) until warm. Drain chickpeas, reserving liquid. Place chickpeas, tahini, chiles, garlic, garlic powder, cumin, olive oil, lemon juice, and salt into a blender or food processor. Blend on high until smooth, adding a few tablespoons of the reserved liquid to achieve a smooth texture. Sample and add more garlic, chiles, lemon or salt according to taste. Refrigerate overnight for best flavor. I had never made hummus with chipotle peppers before but I've been thinking about it for weeks and decided to just go for it. It is really spicy and there is a undercurrent of smoke that is a tempting variation on the standard hummus. 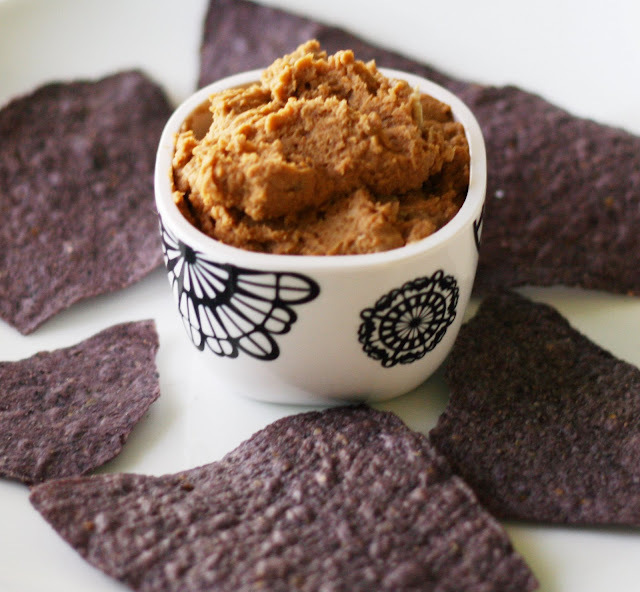 I liked in on pita or with tortilla chips the most but it is also great as a dip with cut up vegetables. It is also easy to up or reduce the heat, just adjust the amount of peppers you use. In a small bowl, whisk together the dressing ingredients. Pour the dressing over the remaining ingredients and toss to evenly distribute. Refrigerate until ready to serve. 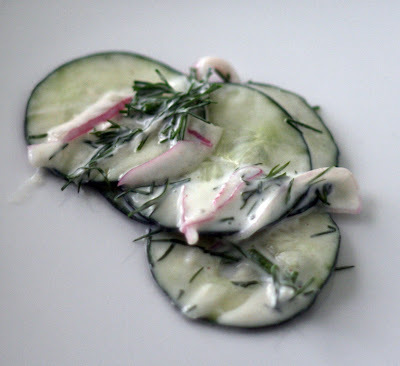 I sliced cucumber with my mandolin for the first time making this salad and it was so fast and they look so perfect I suddenly have the urge to make more cucumber dishes. Or this one again. Matt especially enjoyed the dressing, it was naturally thinned by the released liquid from the cucumbers and had a bright, fresh flavor. Perfect on a sandwich or as a side salad. Pour about 3 inches of canola oil into a heavy pan. Heat to 350. In a shallow bowl or plate, sprinkle the cornstarch. Dredge each filet. Set aside. Mix together the flour, salt, paprika, pepper and the beer, then fold in the egg whites. Dip the fish in the batter. Fry until golden brown. Note: If you have leftovers, they reheat suprisingly well. They won't be quite as good as they were fresh but you can heat them up and keep them crispy by baking them for about 10 minutes at 400. Preheat oven to 400. Bring a large pot of water to a boil. Add the potatoes and boil until just barely tender, about 10 minutes. Drain and pat dry. 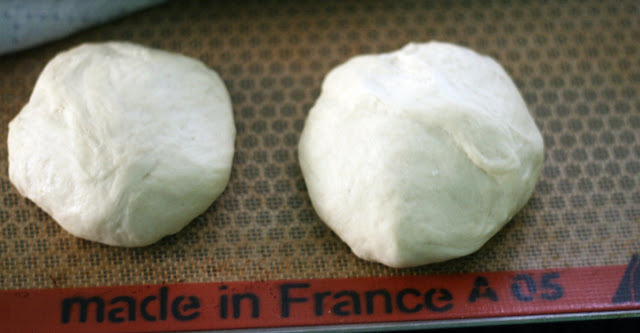 Brush with oil and place on a parchment or silipat lined baking sheet. 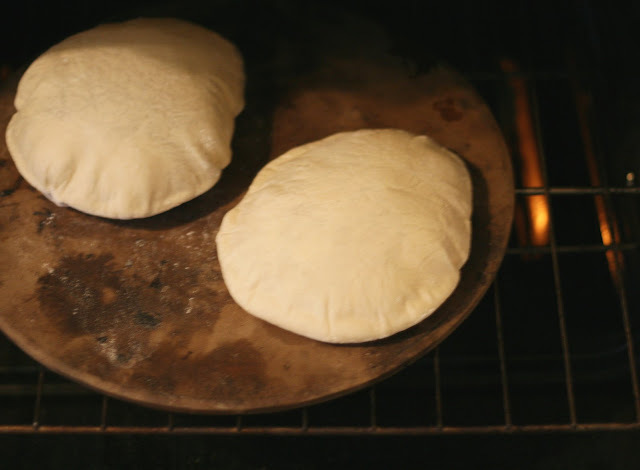 Bake for 10 minutes, then toss and bake an additional 10 minutes or until crisp. Note: This is roughly the same technique I use when making grilled potato wedges, just adapted for the oven. Again, parboiling insures soft centers while the baking gives them crispy edges. Sometimes nothing but fish and chips will do. Unfortunately there isn't a chip shop for miles. However, it is surprisingly easy make at home and the results were fantastic. I was especially pleased with how flavorful and light the batter for the fish turned out. I've always had some issues making the perfect fluffy batter but I think I finally got it right. The fries were great as well, crisp and potato-y. 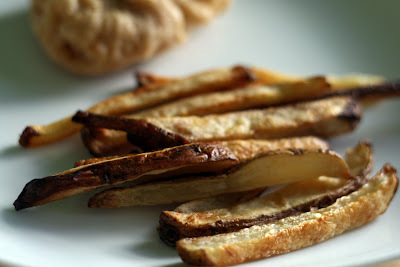 Traditionally the fries would, of course, be fried but I find that the baked ones are quite tasty. 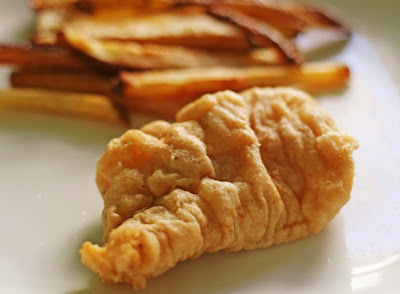 It is easier to bake the chips while you fry the fish than to juggle frying two things at once, both of which need to be served hot. Slice the chicken breasts into long, 1/4 inch wide strips. Toss the noodles with the peanut sauce. Top with grilled chicken and the remaining ingredients to taste. *This is totally optional but if you don't have leftover chicken on hand to use, this is a yummy (20 minute) chicken marinade that complements the dish. When I make this, I like to serve everything (except the peanut sauced noodles) in separate bowls so everyone can take as much or as little of the toppings that they want. When I made the peanut sauce for the first time I couldn't wait to try it on other things. The most obvious idea was some sort of noodle salad. This particular noodle salad is the perfect mix of creamy, crunchy, crisp and green. Not to mention quick to make and super cheap! 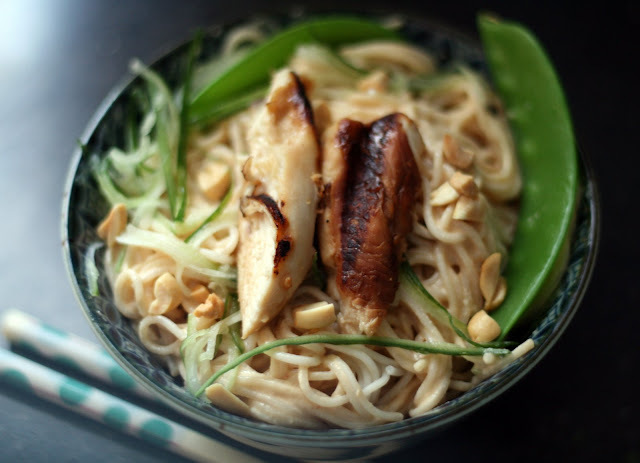 This is the best peanut noodle salad I've ever had, it really is all about the sauce. Preheat oven to 350. Grease or line with a silipat or parchment paper 2 cookie sheets. In a large bowl, cream together the sugar and butter until fluffy. Add the egg and vanilla and beat thoroughly. 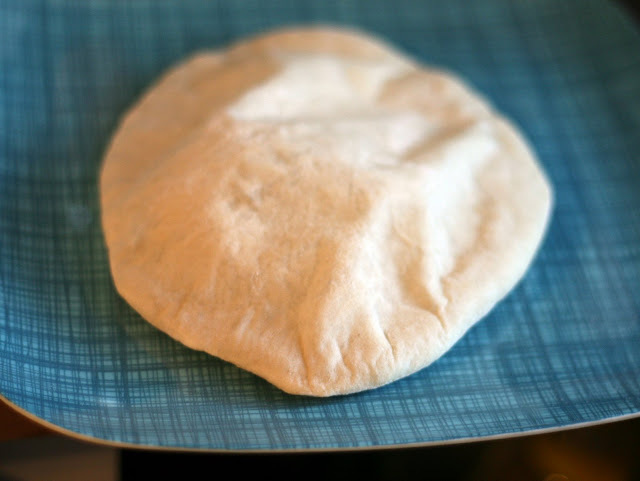 Add the remaining ingredients and mix until a thick dough forms. Refrigerate the dough for about 10 minutes or until the dough isn't quite as soft as it was straight from the mixer. Sprinkle a clean work area with powdered sugar. 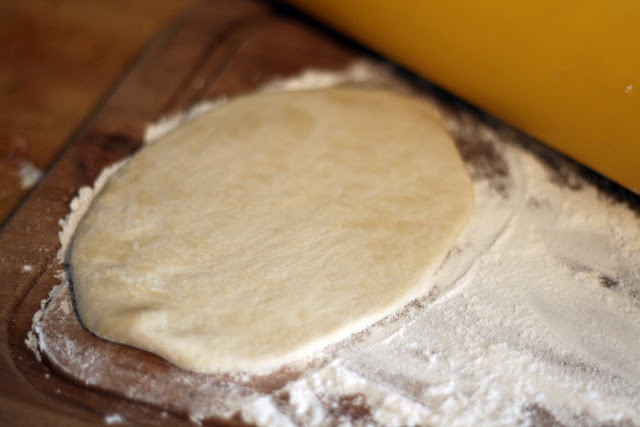 Roll out the dough until it is just shy of 1/4 inch thick. Cut out 2 3/4 to 3 inch rounds. I used my doughnut cutter (with the center removed) to cut the rounds. Place them on the cookie sheets about 2 inches apart. Place a scant teaspoon of filling the in the middle and fold the two sides and the bottom (facing you) slightly up and towards the middle. The cookie should look like it has sides. Pinch the corners and lightly smoosh them down so there isn't a visible seam. Bake for 10-12 minutes or until they look "set". Cool on a wire rack. Note: You can easily double (or I would think, even triple) this recipe. Also, if you have a hard time shaping your cookies, Steph has an alternative method that involves folding that she has success with. If you use her method, I would suggest making larger cookies, maybe 3 1/2 inches, but using the same amount of filling that I call for here. *Ficoco is a chocolate-fig spread. Before you ask, I found it at Whole Foods. 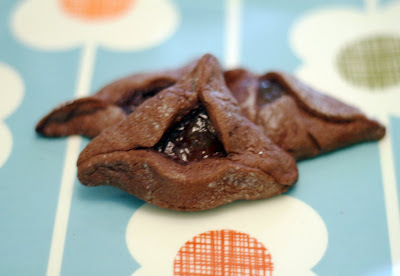 Traditionally hamantaschen, a cookie made to celebrate Purim, is a plain dough with prune or poppy seed filling. While I know all about and enjoy traditional hamantaschen (I even wrote an article about Purim and hamantashen a couple of years ago for NPR) I still prefer the funkier variations. One year I made a cream cheese based hamantaschen with fig and ginger filling and another year I made vegan hamantaschen with kiwi or boysenberry jam. This year I had planned to make a shortbread type hamantaschen with a chocolate filling but the more I thought about it, the more I didn't think it would work. If I just used chocolate chips, the chips wouldn't be mixed into the batter and high heat would melt the chips and cause them to overflow and scorch. My next thought was to try a ganache filling but since the cookies are normally baked filled I didn't see how that would work either. Nor did I want to make a chocolate cookie or brownie-like dough to use for the filling, that seemed a bit much. The more I thought about it the more I realized that I liked the slightly caramelized, thickened jam or preserve filling in most hamantashen. So, rather than waste time and valuable ingredients, I decided to make a chocolate dough and vary the filling. I loved the chocolate cookie filled with MacKay's spiced ginger preserves and my new love Ficoco but any sort of thick jam or preserves that you think pairs well with chocolate would work. The dough itself is has a very strong chocolate flavor and while slightly soft, holds the shape of the cookie well and is very easy to work with. In a large skillet, heat the oil, then add the shallots, artichoke hearts, red pepper flakes, mushrooms and garlic and saute about 5 minutes or until fragrant. Add shrimp and cook for about 3 minutes or until just starting to pink. Pour in the wine, lemon juice, zest, salt, pepper, and capers. Heat to boiling then reduce heat and cook for an additional 3 minutes or until the liquid has reduced and the shrimp is cooked through. Stir in cream. Toss with pasta and parsley. This a great dish for early March when you might be suffering from some cold weather food fatigue and want to make something more spring-like. Of course, if you live in the mid-Atlantic like I do, virtually nothing is in season right now. So you have to make do with ingredients that taste fresh, even if they aren't exactly in season. 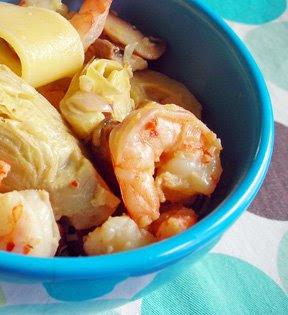 Shrimp, frozen artichoke hearts and a bit of lemon juice to perk up the flavors make for a light tasting but satisfying meal without having to use tasteless, out of season spring produce. Preheat the oven to 350. Line 3 cookie sheets with parchment paper. In a medium sized bowl combine flour, salt, and baking powder. In a large bowl, cream the butter and sugars until light and fluffy. Add the egg and vanilla and combine thoroughly. Gradually add the dry ingredients to the sweetened butter and mix until a very thick dough forms. Use a spoon or turn your mixer on very low to fold in the chocolate chips and cherries. Distribute them evenly. Form cookies by dropping 1 teaspoon of dough on the sheet two inches apart. Flatten slightly then bake until light brown, about 12 minutes. Remove (using a flat turner or spatula) to a wire rack to cool. If they seem very soft and you are leery of scooping them off the pan hot from the oven, carefully slide the cookies and the parchment paper onto the rack and cool about 3 minutes. Then they should be set up and cool enough to just use your hands to transfer them to a wire rack to thoroughly cool. With the East Coast hit by winter storms (in March!) I can't think of a better time to bake cookies. 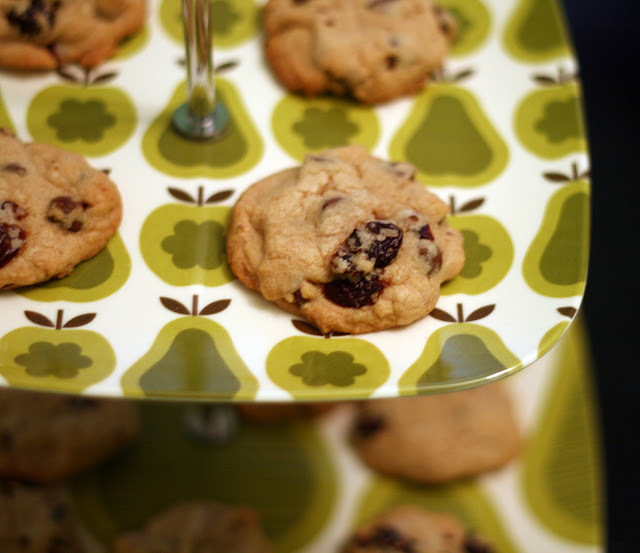 While I generally enjoy fresh cherries, I don't think I had actually had a dried cherry until I made this cookies. As I hoped, the cherries and dark chocolate were a winning combination. I am not a huge fan of super sweet desserts so this was perfect for me. It was also a nice change from the more typical dried cranberry. As for the cookie itself, I did what I always do when I bake cookies and try to see how light I can get the bottoms while still fully baking the cookie. I think I did fairly well. The cookie came out fairly perfect texture-wise, just slightly soft and chewy on the inside and crisp and light on the outside.